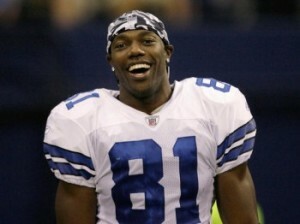 As a follow-up to an earlier post regarding a contempt proceeding brought against Terrell Owens for his alleged failure to make child support payments, Owens failed to appear in a California’s Contra Costa County Court on October 24, 2011 in a separate child support matter. According to a spokesperson, Owens attempted to adjourn the case but, for undisclosed reasons, he was unsuccessful. The subject-child of this newest support case, appears to be different than the child in his recent Georgia case.